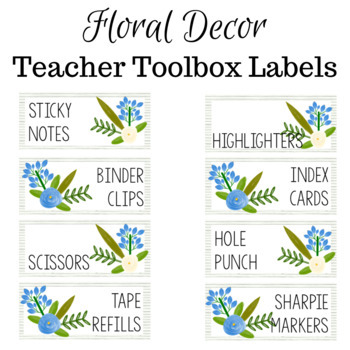 Organize your office or classroom with these clean and chic floral teacher toolbox labels. Great for any office and fits right in with multiple decor themes. 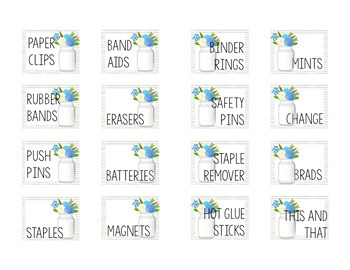 Very simple and clean looking and great to help your organize your supplies and find them quickly and easily. Use the pre-made labels for ease or personalize this product to your needs with the editable options.